We're getting closer and closer to a final iOS 11.2 release for everyone. 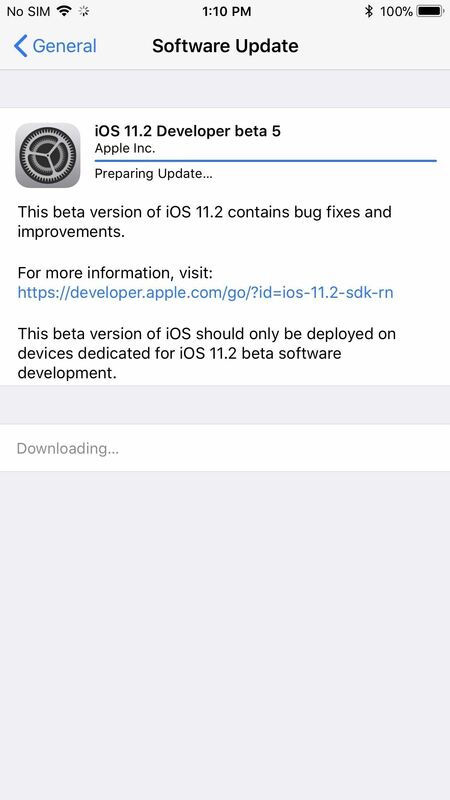 Apple just pushed out beta 5 for iOS 11.2 to developers and public testers on Tuesday, Nov. 28, and much like its predecessor from a few weeks ago, there's not much included but bug fixes and security patches. 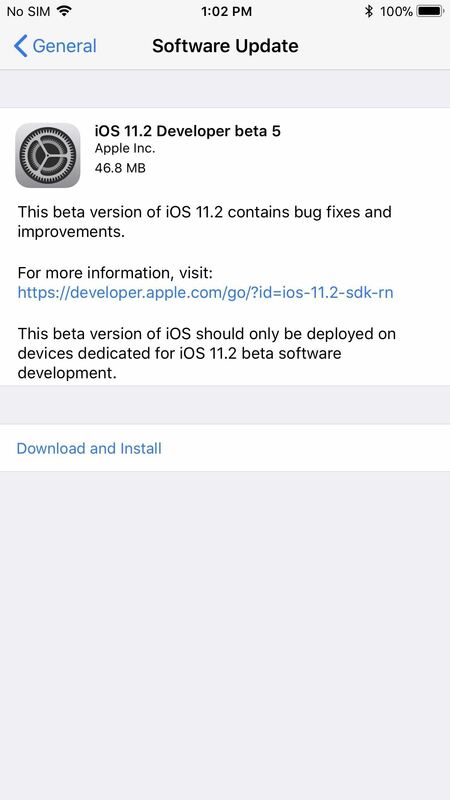 To get the latest beta update, whether you're a developer or public beta tester, just go to "General" in your Settings app, then select "Software Update" and follow the on-screen instructions to download and install it. We'll continue to keep our eyes on the new iOS 11 beta 5 to see if there are any new features hiding within, but an initial review of the firmware and Apple's release notes reveal only under-the-hood improvements for iPhones. UPDATE, Dec. 1: Beta 6 was released just three days later, which means the final public release is very near. Like beta 4 and 5, no big changes are here, but it means Apple is getting ready for the big push. Historically, beta versions of non-major software updates have never gone past seven versions, so we know we're inching closer and closer to a final iOS 11.2 release for iPads, iPhones, and iPod touches. When it finally arrives, the 2017 line of iPhones will enjoy fast wireless charging, and the iPhone X will have a Control Center swipe indicator. Also, for all iPhone models that support the update, the calculator will actually work as intended, there are new pop-up alerts for Wi-Fi and Bluetooth in the Control Center, you'll be able to use Apple Pay Cash, and there are new wallpapers and tweaked emoji for everyone. You can see all the new items in our iOS 11.2 features roundup.